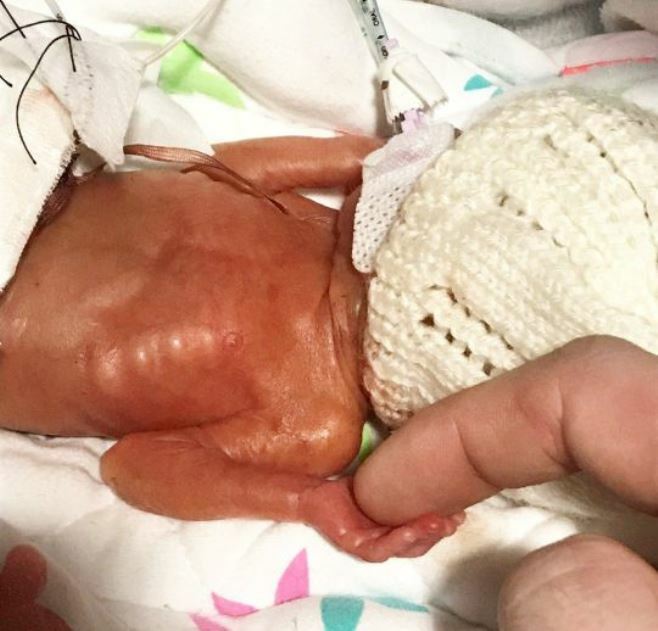 THEO Taylor is being hailed Britain’s smallest baby. 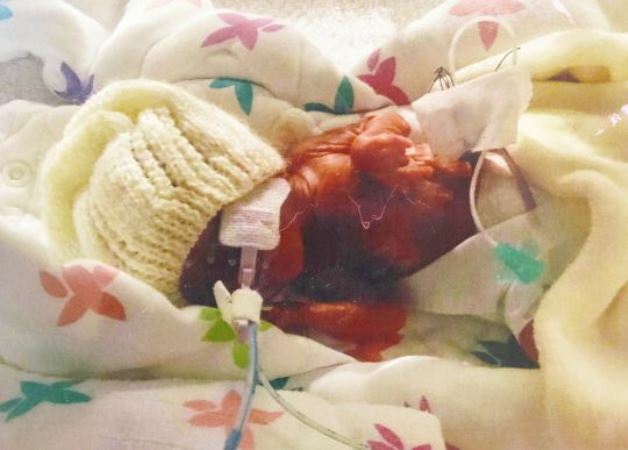 He was born at just 26 weeks. He survived incredible odds after he stopped growing inside his mother’s womb. 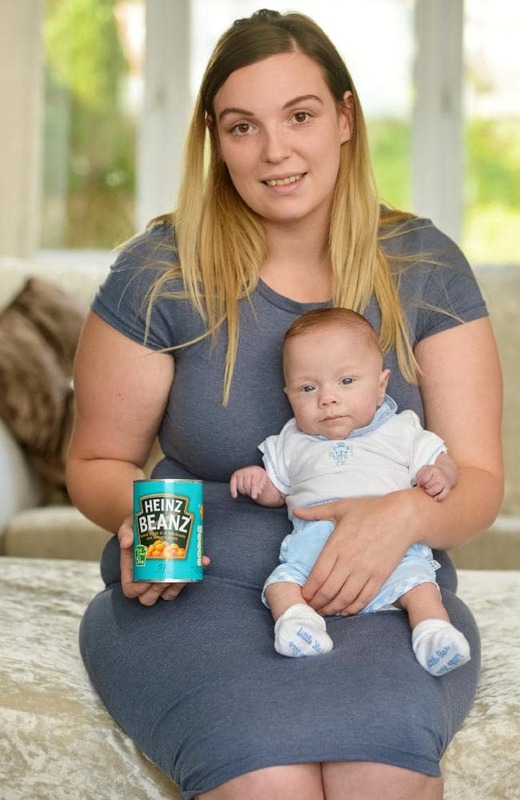 A BABY weighing the size of a can of Coke has beaten the odds to survive. Theo Taylor was born at just 26 weeks and five days by emergency C-section on March 15. He weighed just 340 grams (12oz) making him the smallest surviving baby in Britain. Nearly six months on his mum Katie Rhodes, 24, and dad Jay, 27, spoke about the relief of having their baby home. “I had never ever seen a baby that small – I didn’t know babies could be that small,” dad Jay told The Sun. “I kept saying to Katie that everything would be OK and he would be fine. Theo had stopped growing in his mother’s womb at 19 weeks, prompting doctors to offer Katie an abortion the day before he was born. Even after he was born, the couple were warned tiny Theo may not survive long enough to go home. They touched his fragile hand for a few seconds before he was taken away to be put on a breathing machine. But the mini man beat the odds and was moved to a lower dependency ward at Royal Victoria Infirmary in Newcastle upon Tyne seven weeks later. He was sent home on July 7 after an operation to repair a hernia. Theo still takes doses of nasal oxygen but doctors don’t believe will suffer any more complications. 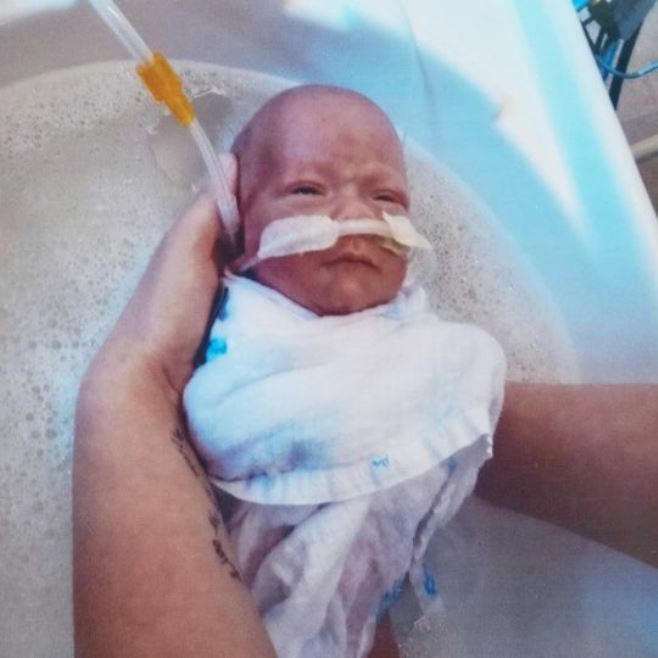 “Before he was born, it was really hard hearing all the time that he wasn’t going to make it, and even when he was born that we might not get to take him home,” Katie, a support worker from Durham, said. “But we got through it by saying, ‘no, he’s made it this far, let’s just support him’. Jay, a delivery driver, said Theo was born smaller than what doctors had anticipated. “He was smaller than my hand and much smaller than they even thought he would be,” he said. 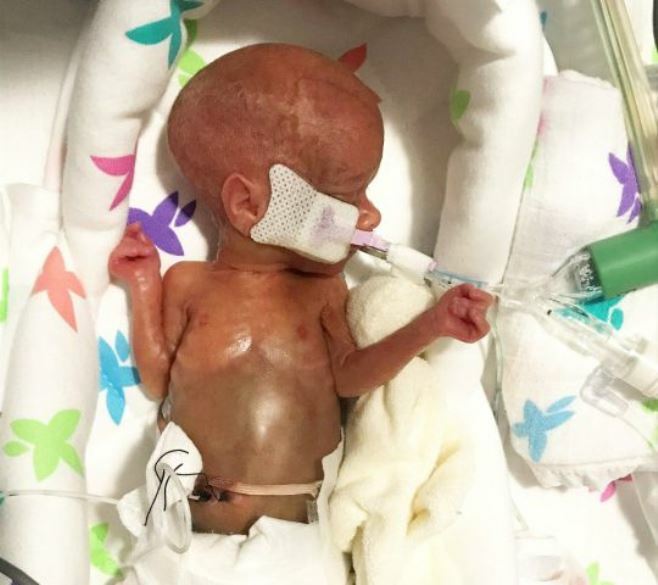 Theo is believed to be the smallest newborn to survive in the UK since Aaliyah Hart, now 15, was born at 12oz in May 2003.